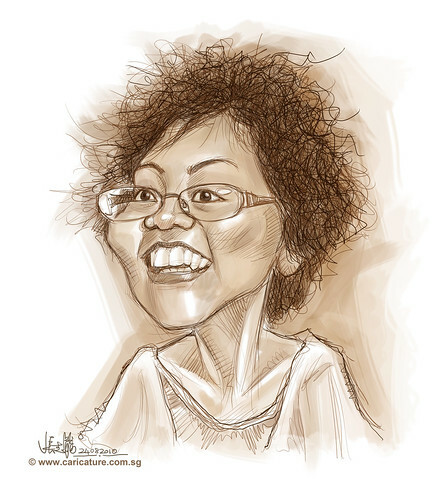 A caricature of my old friend's (Wilfred's) mum. I used to go to her house often during my secondary school time. And I finally have the time to do one for her. You sure make my day!!!! How can I thank you!!!! "